Submissions for Photo of the Month are now open - the regular rules have returned. * This month we are seeking photos featuring: Bus stations at Kippax, Gungahlin and Barton#. If you submit such a photo, you may still submit 2 other new photos (3 photos in total). Submissions close midnight 25 February, Australian Eastern Daylight savings Time, unless extended. Voting will commence on 26 February. Voting will close on 1 March. # - photo must show any of these bus stations in their current form, other than Gungahlin which can be from before the GMP extension construction started. 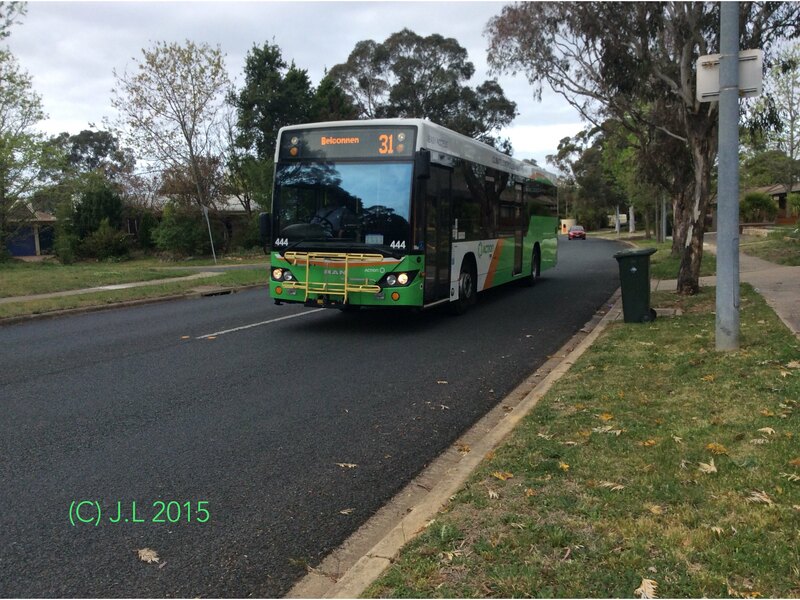 Bus 444 on Maribynong Avenue Kaleen running a route 31 to Belconnen. Bus 559 at City Canteen. 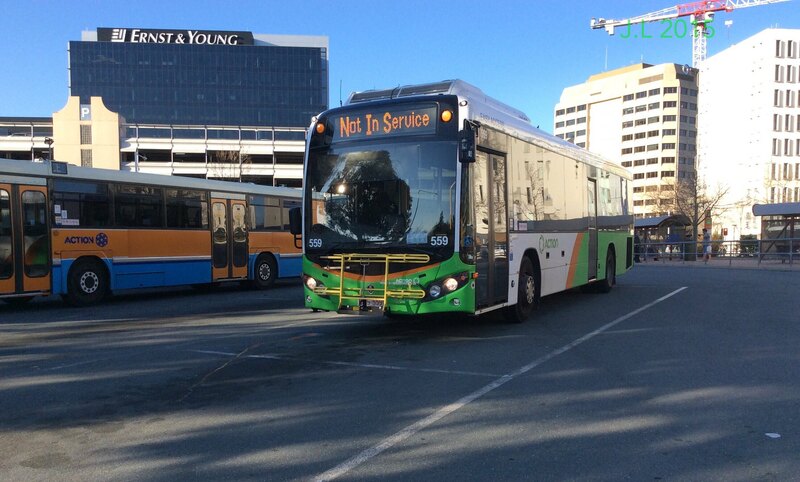 BUS.588 and BUS.552 laying over at Gungahlin East (Kate Crace St) Layover moments before a storm struck. And BUS.379 amidst said storm about an hour later at Belconnen Community Bus Station.